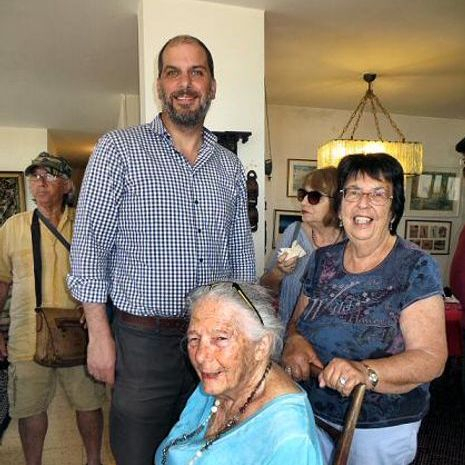 An astonishingly quickly convened workshop, the brainchild of our incredibly energetic and proactive publicity officer and Haifa Coordinator, Wendy Blumfield, took place in the home of our Membership Secretary, Susan Rosenberg, in July. 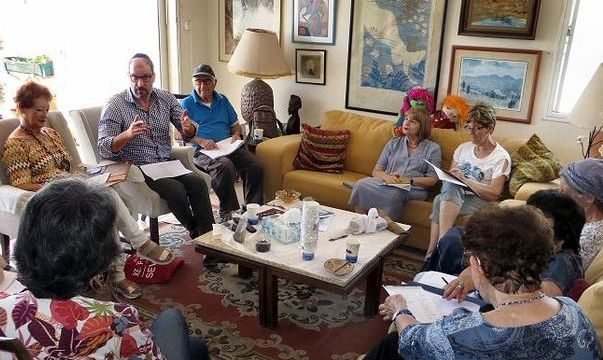 The workshop was very ably led by Professor David Caplan of Ohio Wesleyan University, who was just finishing a sabbatical at Haifa University. The theme of the workshop was Memory, and Prof. Caplan gave a detailed analysis of two poems, which exemplified different uses of memory in poetry. The exposition was followed as usual by a writing exercise. 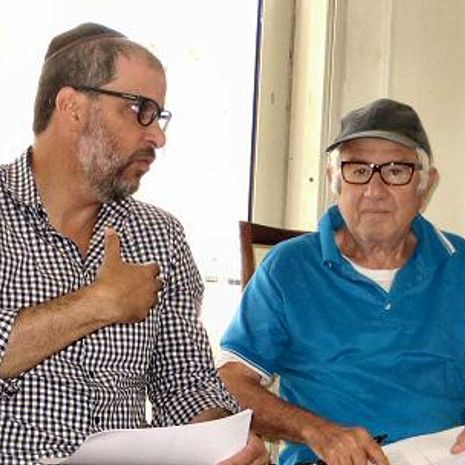 Because of Prof. Caplan's impending return to the United States, the workshop was organized within a few days; despite this, 15 Voices members managed to enjoy the expertise of our distinguished visitor. There is no chapbook for this workshop, but here are a few photos from it (there's a 9.4 MB Word file, a collage of photos from this workshop, viewable here). From L to R (clockwise): Susan Olsburgh, Prof. Caplan, Johnmichael Simon, Iris Dan, Judy Koren, Avril Meallem, Wendy Blumfield, Miriam Webber, Dian Bymel. Photo courtesy of: Judith Fineberg. Prof. Caplan, Wendy Blumfeld and Susan Rosenblum. In the background, David Fellerman and Iris Dan. Photo courtesy of: Judith Fineberg.